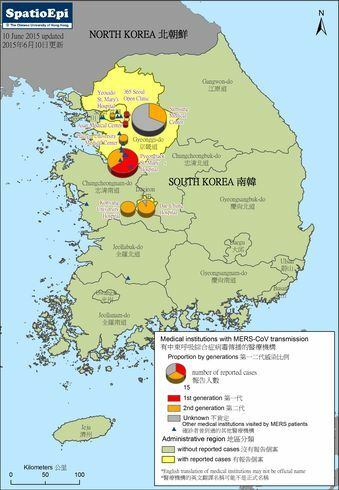 Ten years ago in 2003 Hong Kong was hard hit by the SARS outbreak, an infection caused by a coronavirus, now referred as SARS-coronavirus or SARS-CoV. Worldwide there were 8098 cases, of which 1775 were from Hong Kong and 299 died. 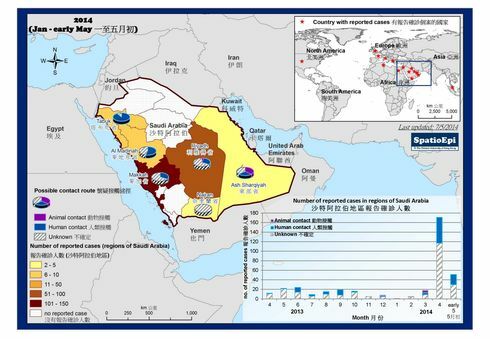 While we commemorate the 10th anniversary of Hong Kong's worst epidemic, another new coronavirus virus began to emerge in the Arabian Peninsula since April 2012. 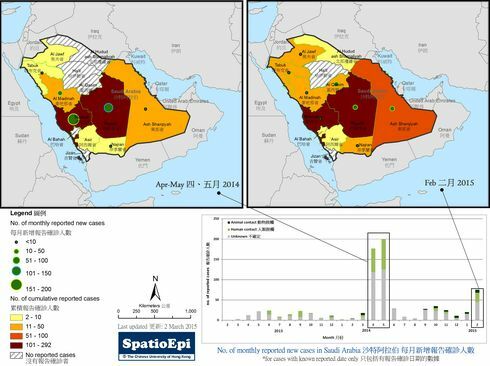 As of May 2013, over 40 cases of infections by the new coronavirus (novel coronavirus, NCoV) have been reported, half of which have died. 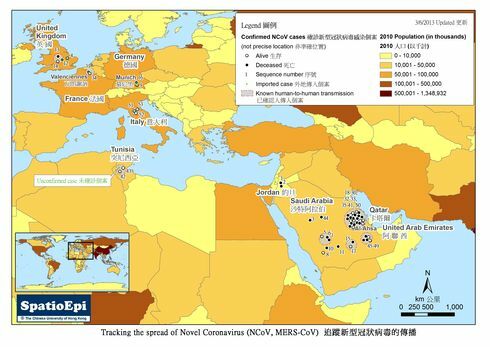 This map shows the distribution of NCoV cases, most of which resident in Middle Eastern countries - Qatar, Saudi Arabia and Jordan. Most patients have significant respiratory disease. 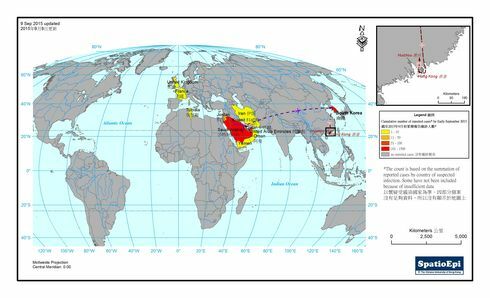 In the United Kingdom there was a family cluster of 3 patients, one of which had history of travelling to Pakistan and Saudi Arabia. More than half of the reported cases have died. 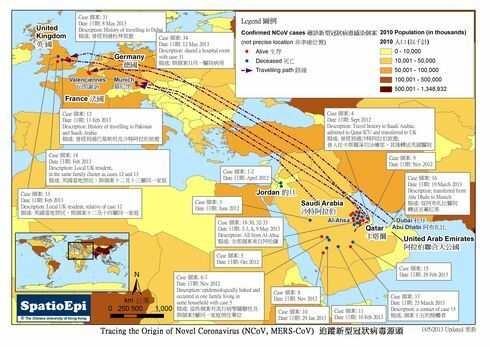 While exposure to animal is speculated to be the cause of NCoV infections, human-to-human transmission has occurred, though it does not appear to transmit easily. For members of the public, the same precaution against avian influenza applies - good personal hygiene, avoidance of contact with poultry and wild animals, alertness for symptoms if returning from NCoV affected countries.